onPoint Properties is a property management company in our area that serves the Pembina Valley. When they started, the worked with a smaller website and found that it no longer served their clients as it needed to. 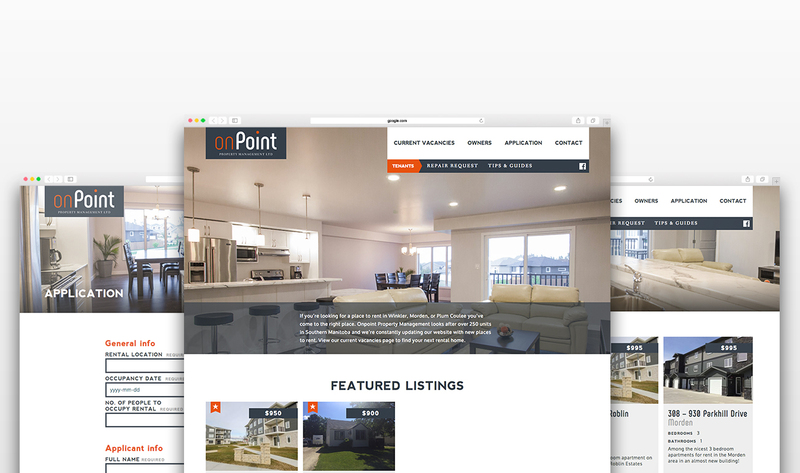 A custom website offered them application options on the site and the ability for tenants to request rental repairs.